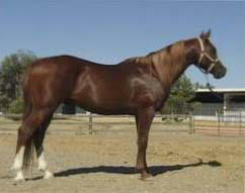 bloodlines as well as stallion services with the Halynov line. WOA would like to invite you to grab a glass of wine, cup of hot coffee, tea, or whatever, kick off your shoes, settle back in your chair, and come meander through our site and spend a little time with us meeting our special friends. I’m afraid doing my own web site has caused me to add and add to this site which now would resemble Gone with the Wind, if it was a novel. It’s full of anecdotes, videos, slide shows, nostalgic tributes and stories, and of course, Bunny’s (AKA Scimitar’s) story which I made into a quasi- documentary Against All Odds -- shown on Dish Network and DirecTV. Too big to take all of it in during one sitting, bookmark this page and just drop in from time to time when you need a “horse fix.” I have added News and Blog sections to keep up with the times. Enjoy!! 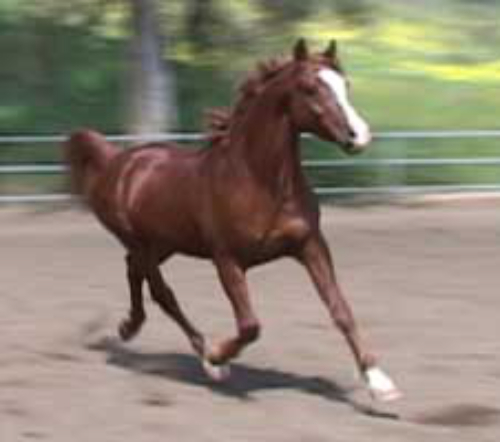 Whispering Oaks Arabians has been producing Arabian sport horse champions for performance show classes, race, and trail riding for over 15 years. 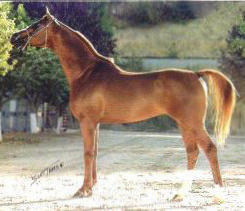 TLA Halynov has passed his athletic ability on to his get making Hal a leader among American Arabian stallions. Our Russian bred Arabian horses combine the best of athletic conformation with sensible and willing attitudes, producing friends that the whole family will enjoy. Both TLA Halynov and his offspring have won Halter Championships as well, proving that you can combine athletic excellence with beauty! 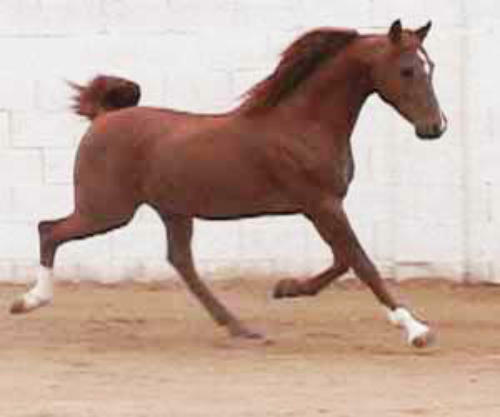 We invite you to visit our Arabian Mares page to learn more about the history behind our Russian sport horse bloodlines. 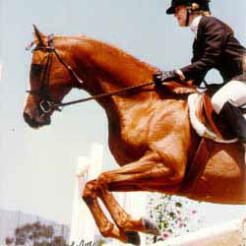 Donna Snyder-Smith, coach to an Endurance World Champion, lecturer/writer, has said that she had not previously seen any Arabian horse extending with such freedom of shoulder and powerful hind end until she watched Halynov in motion. "...when I saw him move... it took my breath away." Visit Halynov’s Tribute and Offspring Pages and learn more about this tremendous Russian sport horse stallion, as well as view his athletic pedigree, by clicking on the images and links above. stallion services with the Halynov line.